Gentle Enough for Babies’ Bottoms? Last month we told you about a new report on the worst corporate conduct in 2018. Based on breaking news from Reuters, the New York Times and others, we may have our first “worst conduct” nominee for 2019. Internal documents uncovered in lawsuits against healthcare giant Johnson & Johnson indicate that the company knew for years that its iconic Baby Powder might be tainted with traces of cancer-causing asbestos. 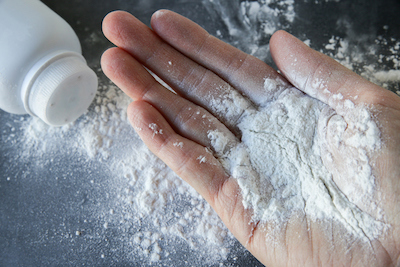 The company adamantly denies any link between its talc-based products and cancer, but nearly 12,000 lawsuits allege otherwise. Here’s what you should know about this troubling story. Nearly 12,000 women suffering from mesothelioma and cervical cancer allege in lawsuits that Johnson & Johnson talc products caused their illnesses. Reuters reporter Lisa Girion tells MSNBC how Johnson & Johnson kept concerns about its baby powder secret for decades. Looking for safe alternatives to talc baby powder and shower products? Here are five options from Mother Nature Network. This entry was posted in health, Information, Legal. Bookmark the permalink.